The Lankans are placed in Group B along with Bangladesh and Afghanistan. Sri Lanka are scheduled to play the first match of the 2018 Asia Cup against Bangladesh on September 15 at Dubai International Cricket Stadium in Dubai. However, all’s not well in the Lankan camp by any means. A few days ago, Dinesh Chandimal, their Test captain, was ruled out of the tournament owing to a finger injury he developed during a domestic T20 encounter. 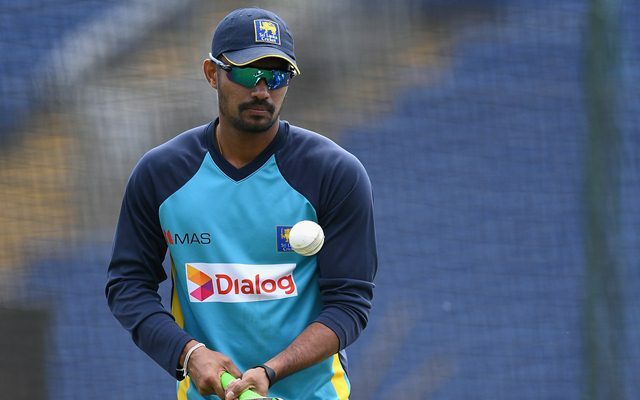 Their miseries just don’t seem to halt, much to their despair, for the reason that Danushka Gunathilaka, one of their top order batsmen, won’t be taking part in the multi-nation tournament because of a lower back injury he suffered during a practice in Dubai. 27-year-old batting all-rounder Shehan Jayasuriya has been announced as his replacement as per reports in The Economic Times. Jayasuriya recently played a couple of ODIs against South Africa in which he could only manage 18 runs at an average of nine. Moreover, he also couldn’t pick up a wicket in the seven overs he bowled. As far as the Asia Cup is concerned, the Lankans are placed in Group B along with Bangladesh and Afghanistan. Their match against the Afghans is on September 17 in Abu Dhabi. The Lankans didn’t have an auspicious time in the event last time around in 2016 when the tournament was played in a T20 format bearing in mind the T20 World Cup that followed. They could only manage one victory against the United Arab Emirates (UAE) and lost against India, Pakistan and Bangladesh. Subsequently, they finished fourth on the points table. The team will definitely want to shed the disappointment of their last outing and take the field with a new zeal. Albeit they slumped to defeat in their last ODI series against the Proteas, they emerged triumphant in the last two ODIs and the one-off T20I to gain back some confidence. Sri Lanka last won the Asia Cup back in 2014.